Growing up in Milwaukee, Wisconsin, you’d think Alex Thomas would be passionate about cheese….or beer….or the Green Bay Packers. 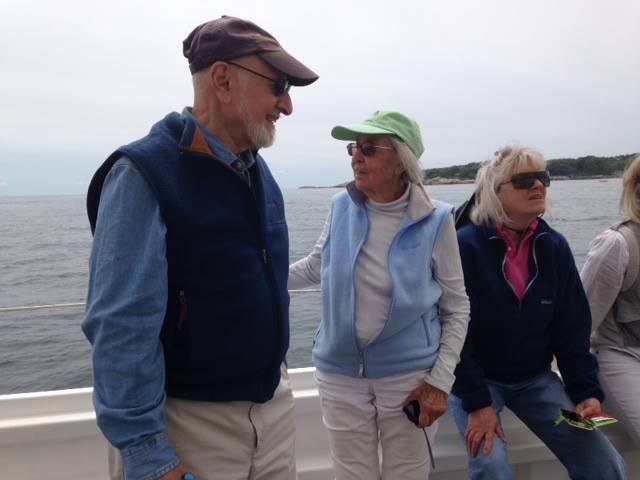 22 years ago Alex met and fell in love with his wife, Diane, whose dream it was to live on the coast of New England. So by “dumb luck” (as Alex describes it) they landed in Gloucester, settling in Bay View and raising their two children, Emma and Isaiah. 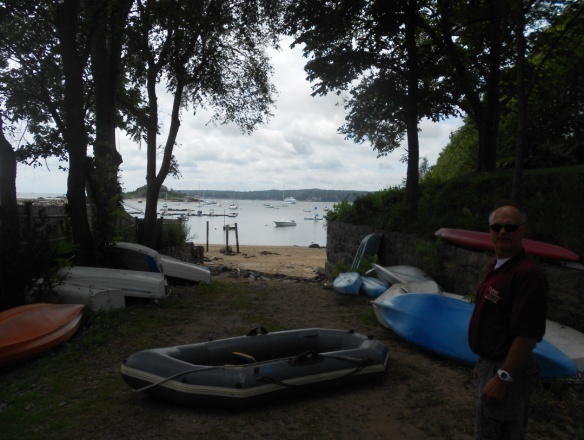 Alex quickly discovered his other great passion…Gloucester Harbor! Already an experienced sailor (he was a Sea Scout on Lake Michigan), Alex now keeps his 26-foot Typhoon sailboat moored off Rocky Neck. It was blowing about 10-15 when Alex picked me up to go for a sail, but 20 minutes later, by the time we put in at Stevens Landing on Rocky Neck, the wind had come up to 20-25 mph. “No problem”, says Alex. With a confidence only years of experience can provide, Alex sets the tiller hard to Port, knowing she’ll fall off that way, he lets the mooring go. 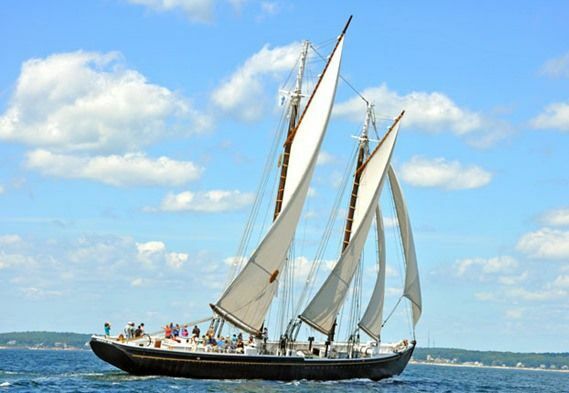 As if eagerly following some unspoken command, the vessel quickly brings her bow about, fills her sails and takes off, skipping over waves toward the western shore. Though it’s early August, this much Northerly wind not only invigorates the senses, it requires a light wind breaker to protect against the cold spray off the bow. We enjoy an afternoon ripping back and forth from Niles Beach to Stage Fort Park, passing just south of the big rock off Ten Pound Island on every tack. 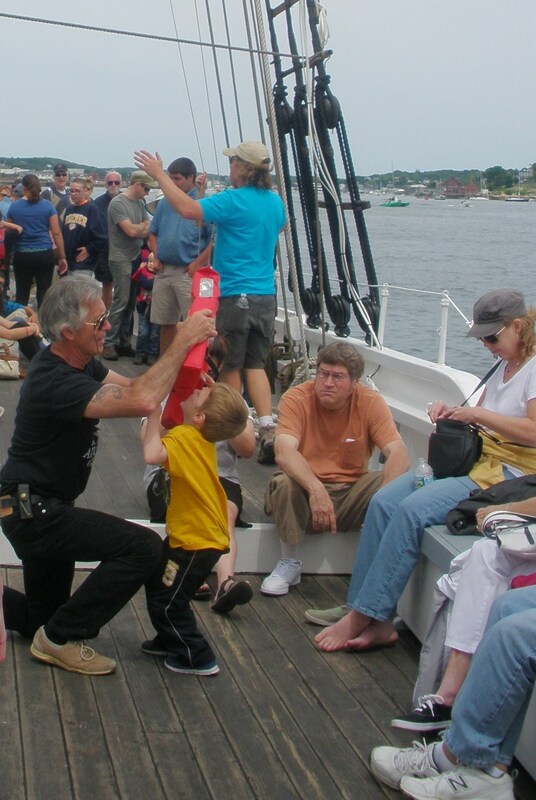 One of the many special gifts of spending a lot of time on Gloucester Harbor is the camaraderie you share with the other “regulars”. 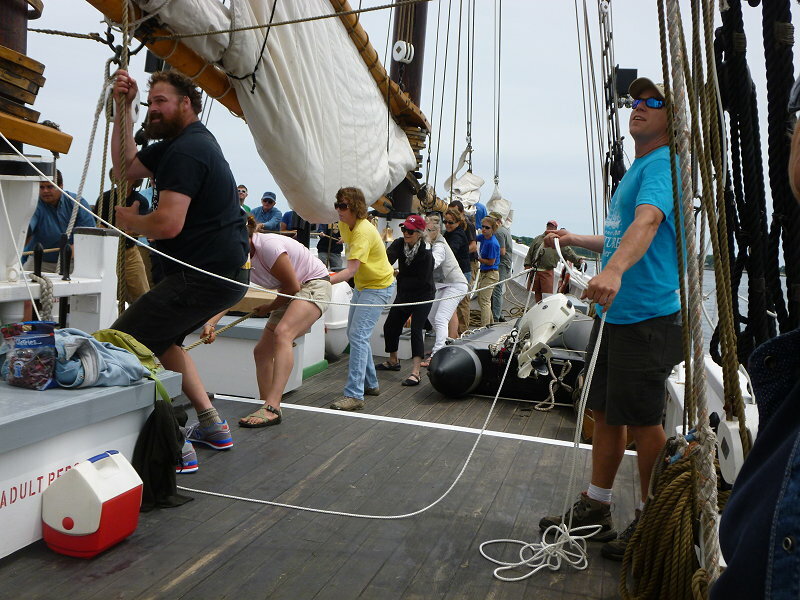 Even if you’ve never been formally introduced you “know” them by their boat, their seamanship and their reputations. Alex offers a smile, wave and nod to Capt. 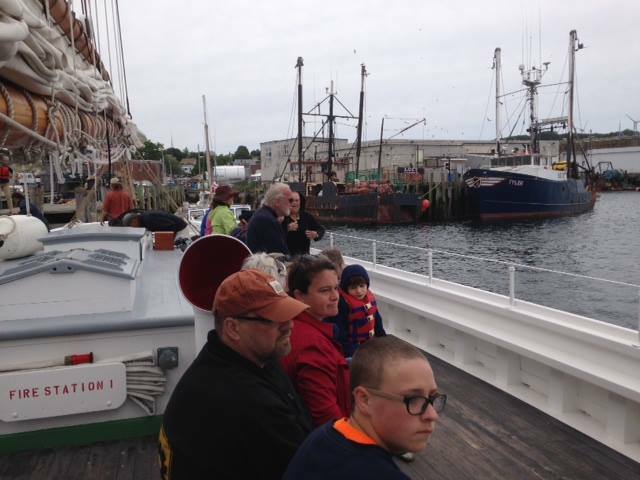 Heath Ellis and his passengers on the schooner “Thomas E. Lannon” as we fly by each other, starboard to starboard. The same pleasantries are exchange with the happy passengers aboard the Charter fishing boat “WEJACK”, anchored on the fish at one of Capt. Joe Arsenault’s “sweet spots” in the Outer Harbor. What a great way to spend an afternoon. Bonding with Nature. Reading Wind and Wave and reacting in accordance and respect of their power, enriching your Soul. 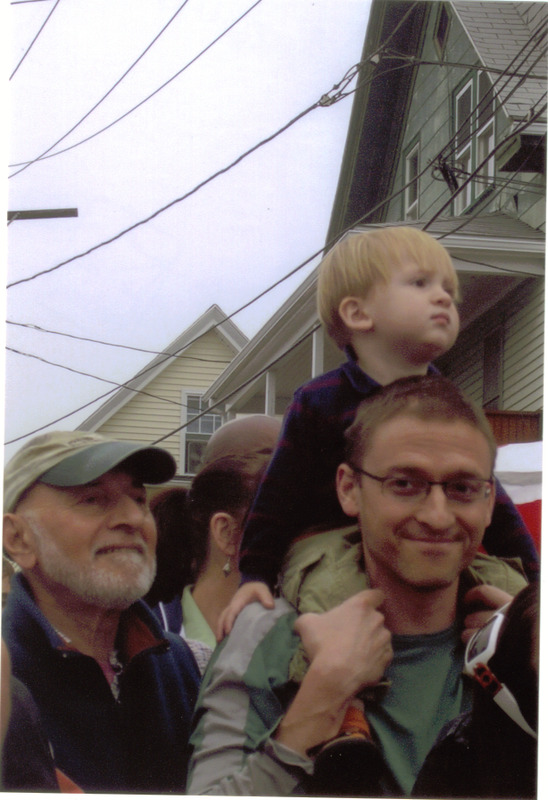 Alex is a perfect example of the thousands of residents who have settled in Gloucester over the years and embraced it. He makes a valuable contribution to the community by not only appreciating the Heritage and the amazing natural resources, but, more importantly becoming part of them. By the way, if you know, or get introduced to, Alex Thomas in the next few weeks, wish him luck. 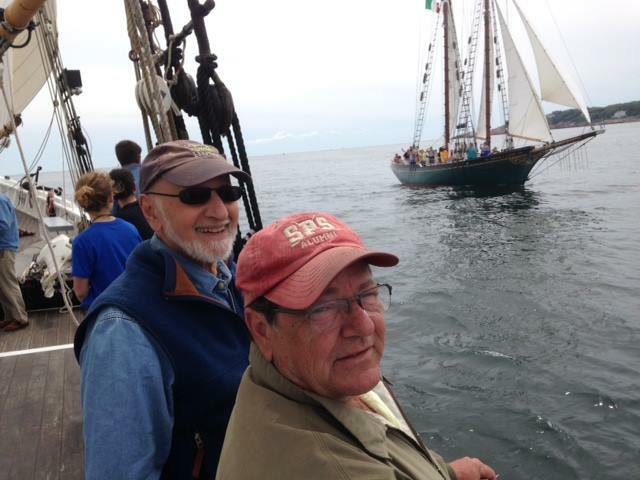 He and his dorymate, Donnie Favalora will be representing the U.S. in the Senior Division of the International Dory Races in Lunenburg, Nova Scotia on August 29th! 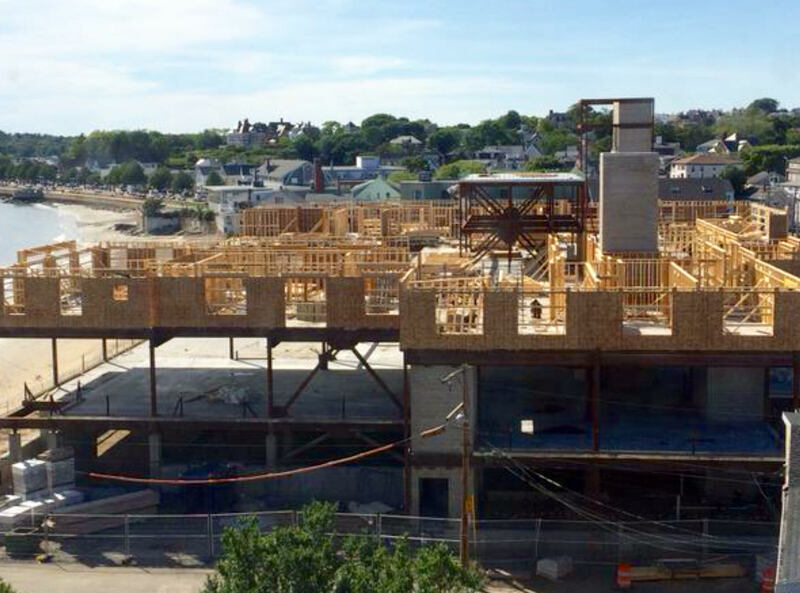 What is the value to a community of affordable housing? Gloucester citizens are discussing the issue now, in light of a new proposal for rental housing on Main Street. The third of three public meetings on the proposal will be held Thursday, August 27 at the Sawyer Free Library at 6 pm. Future ads for Gloucester real estate? Okay, all of the above is a tongue in cheek work of fiction and figment of my imagination but I share it because, with the once- bustling fishing industry likely changed forever, the pressure from real estate and tourism industry interests to gentrify Gloucester in an effort to replace the jobs and economic base lost to the decline of fishing with high end, upscale tourism is only going to increase. Now, Gloucester is a geographically and architecturally blessed city, so some gentrification is unavoidable, even desirable. 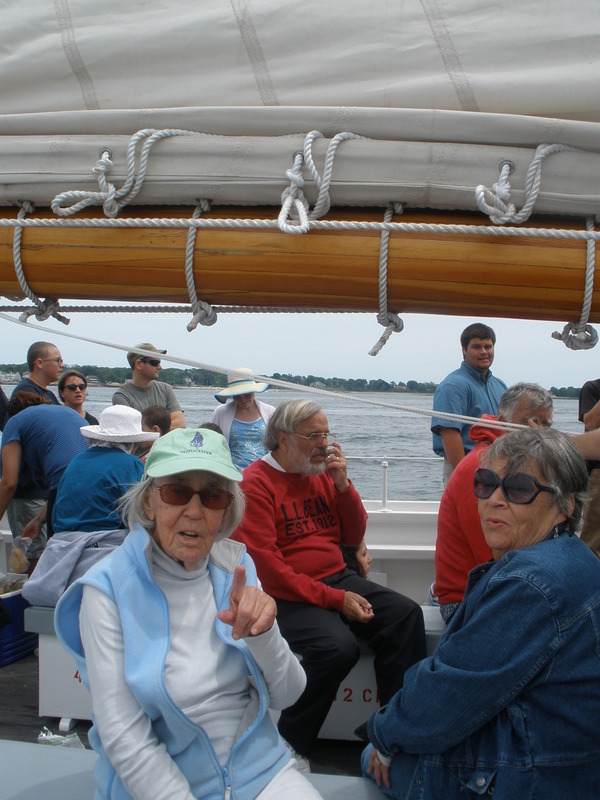 Likewise, Gloucester’s many natural resources, from its beaches and still deep woods, to its quarries and scenic inlets, lend themselves, rightfully so, to the tourism industry being an important element of the city’s economic foundation. 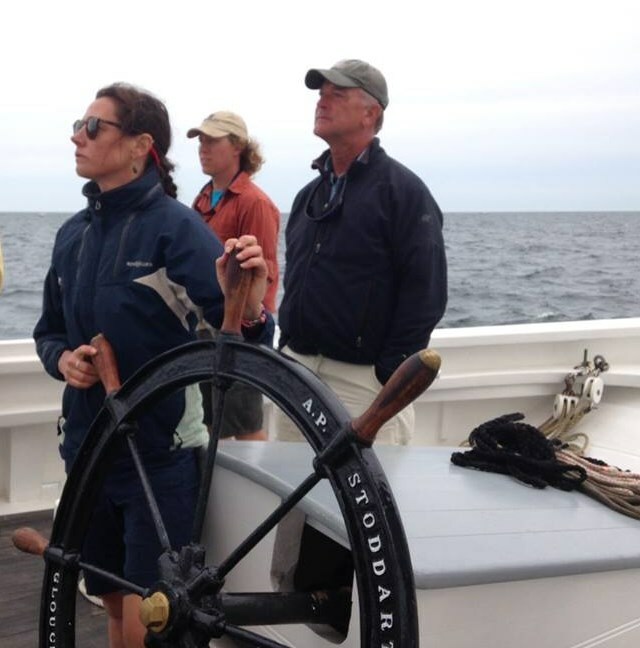 Done responsibly and reasonably, along with genuine efforts to maintain the true “working waterfront” tradition for which Gloucester is so famous, by encouraging marine research and environmental projects and firms to come to Gloucester, the city may still have an opportunity to succeed in embracing both change and its history in ways communities like Provincetown, Portsmouth, Nantucket, and Newburyport have not. 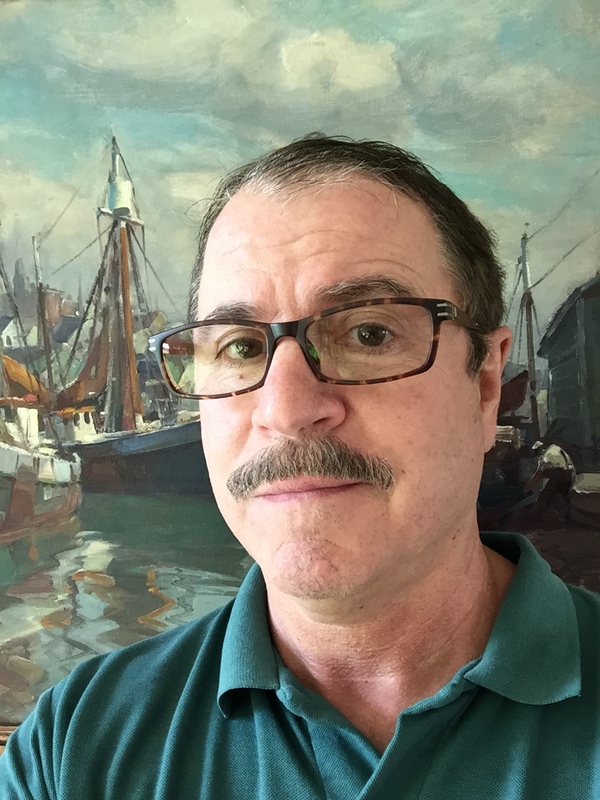 In the interest of space, I am going to simply focus on Provincetown – a community that may, on the surface, seem very different from Gloucester but, when looked at more closely, one discovers an amazing number of similarities. First, both communities are blessed with an almost unrivaled degree of physical and natural beauty. Gloucester’s sandy beaches and rocky shorelines, and Provincetown’s vast expanses of sand dunes and miles long beaches make both locales, in my opinion, two of the most beautiful places on the planet. The light on Cape Ann and here at “Land’s End”, for example, is like no other place on earth. 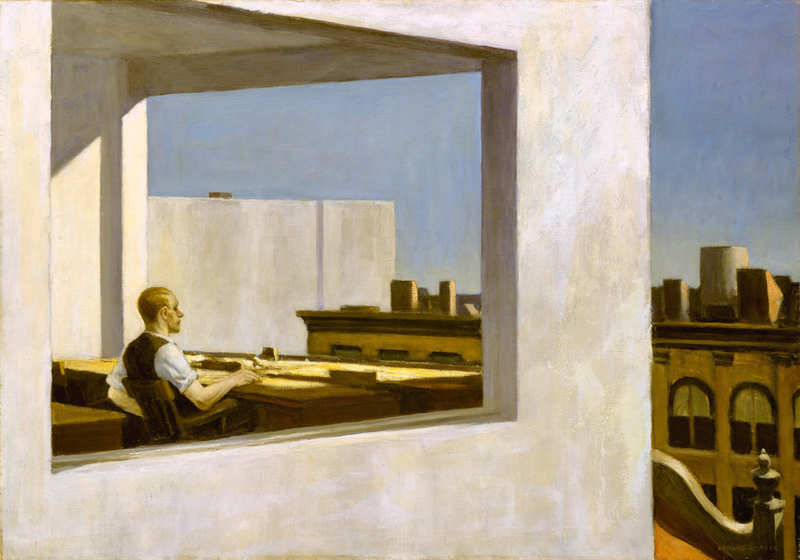 It’s little wonder artists of the caliber of Edward Hopper so loved both places. 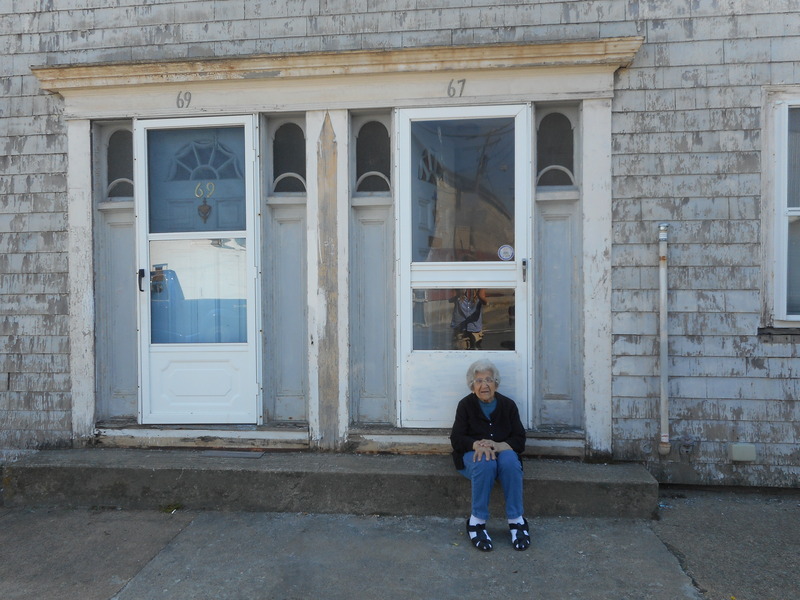 Second, both communities share a heritage of hardworking fishing families, many of Portuguese descent, who carved out lives and livings in two geographic locations many less hardy folk found too hostile to call home. In the case of Provincetown, thanks in large part to those hard working fishing families and the town’s character and charm, “Land’s End”, through the years, attracted and supported a wide array of people – artists, writers, craftsmen, small business owners, the people who mixed the drinks, served the food, and manned the shops and galleries, gay, and straight. Many settled in to living year round by the edge of the sea. They were able to do so, when all is said and done, because of the underlying financial and communal stability the fishing industry provided. But over the last twenty years, as the fishing industry has faced one challenge after another, things began to change – and change dramatically. Many of those old Portuguese fishing families have left. 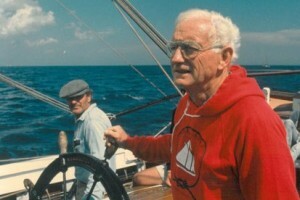 Captains sold their boats and their homes and moved “off Cape”. People those family fishing enterprises, and the other businesses related to them, employed who stayed at “Land’s End” found temporary haven in the tourism industry. But as more and more multi-family homes in town were sold and their once affordable, year round apartments converted into high end, seasonal, condominium, rental properties, the working people who remained have found it harder and harder to find anything that remotely resembles permanent, reasonably priced housing. As a result, many of those long time year round residents and workers have left. Many did so with heavy hearts and great sadness, but the need for stable housing overrode their love of this once- special place. The decline of the fishing industry fueled the growth of the tourism industry here as its replacement, but the tourism industry has not produced the kinds of jobs that pay workers enough to live in a community that has become little more than a New England version of Fire Island in New York. 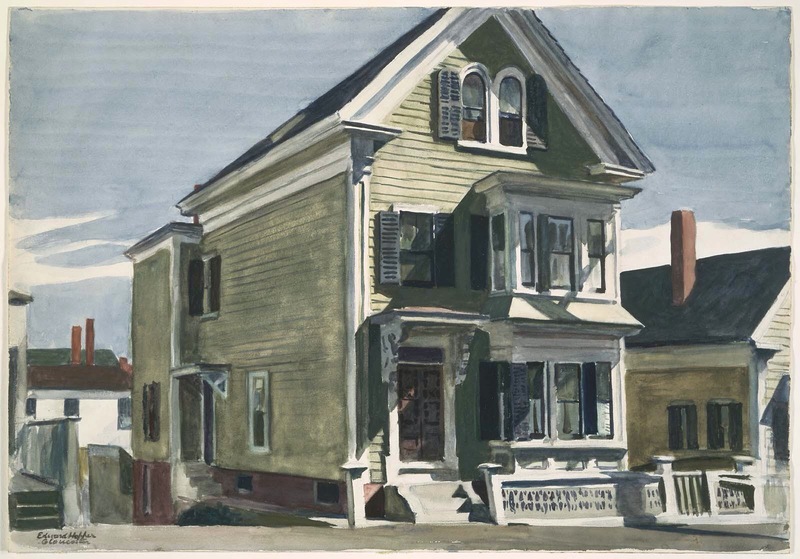 Today in Provincetown, many of those American employees in the shops, galleries, restaurants, and guest houses have been replaced with Jamaican workers and eastern European college students who often pay as much as $200 a week, not for a room but for a bunk in a room they share with three other people. Just a couple of weeks ago, a tragedy was narrowly averted in one of those workers’ boarding houses by the quick actions of the rescue squad when the furnace in this particular flop house malfunctioned, filling the house with noxious smoke. Four young Bulgarian co-eds living in a room on the third floor were so frightened that they could only be coaxed from their room by a fireman who risked his own life to lead the young women to safety. I work with a young Russian student who told me he and five of his Russian friends pay $175 a week each to sleep on air mattresses in the basement of a house owned by a member of Provincetown’s police department. They share one bathroom and have no kitchen privileges. A few months ago, Provincetown hired a new town manager, only to have that individual resign shortly after being hired. Why? He could find no place to call home. His salary was not enough to be able to buy a home here, and the lack of year round rental units due to the ability of owners to get $2000 a week for a four hundred square foot condo in the months of July, August, and September, left him no choice but to conclude Provincetown was not a place he could afford to call home. Now, I am not suggesting that what has happened to Provincetown will be Gloucester’s fate, but if people don’t pay close attention to the changes coming to Gloucester in the wake of the fishing industry’s decline, there is a very real danger that something not unlike what happened here in Provincetown could unfold in Fishtown. 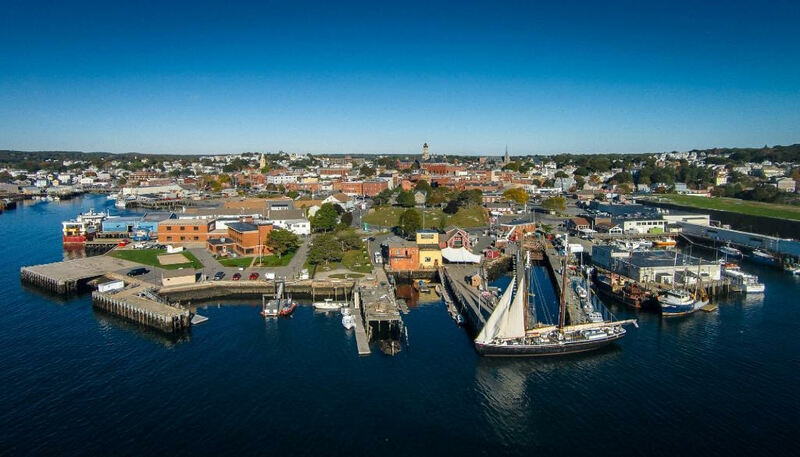 I say that because there are more than a few who believe tourism will replace the fishing industry as the economic mainstay of the city, and the fact that living in seaside communities has become, for lack of a better word, a real status symbol in early 21st century New England. As if to offer a bit of foreshadowing as to what Gloucester’s future might look like, last year I overheard the executive chef and general manager of the restaurant I worked at in Gloucester for two seasons discussing the staffing problems they will likely face in the near future as the cost of housing on the island goes ever higher. One possible solution they were contemplating was to encourage the owners of the property the restaurant is located on to convert at least one of the unused buildings on the property into seasonal employee dormitory housing. What has happened to the once- vibrant community of Provincetown is truly tragic. I offer this essay to friends in Gloucester in the hope it will motivate them to do all all they can to prevent what has happened here to happen to Gloucester. The clock is ticking and once the changes come, they will be all but impossible to undo. Sadly, the fictional real estate listings above are not likely to be fictional for very much longer. 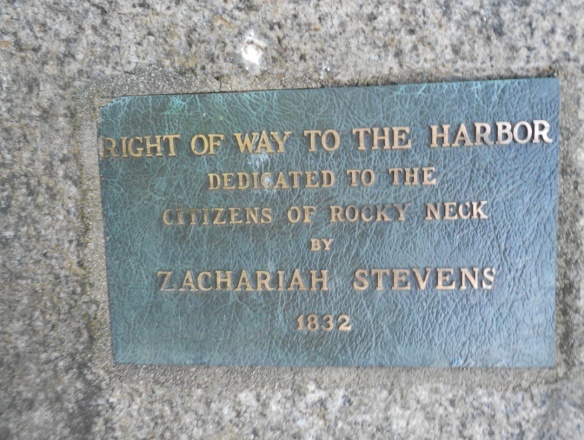 The process of converting Fort Square into “Louisburg Square by the Sea”, and “Portagee” Hill into “Beacon Hill by the Bay”, is probably further along than many people realize. 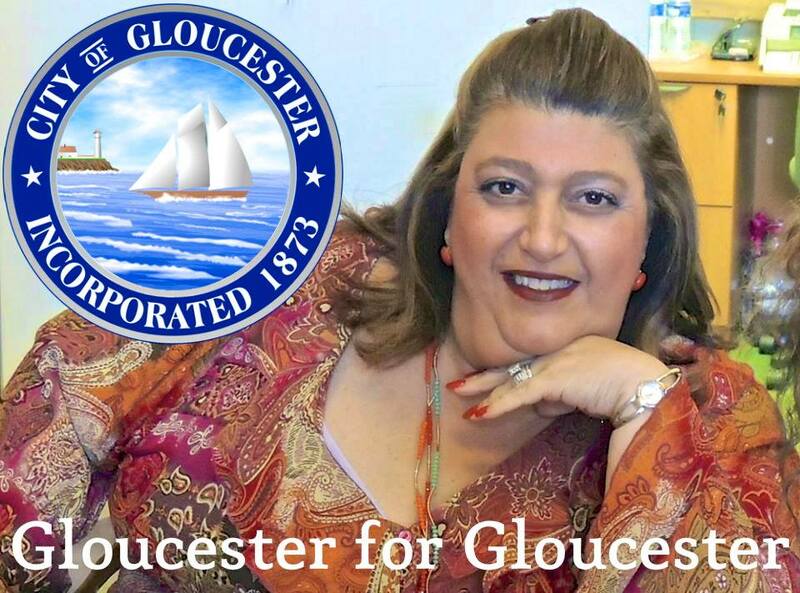 Today, I announce that I am a candidate for Mayor of Gloucester. I do so because I love this city and all of our people. And, during the past six months, my team and I have demonstrated that government can be run openly and honestly to serve every citizen in Gloucester fairly, and with respect. When the City Council elected me Mayor, I didn’t know how much my team and I could accomplish—I had no idea what a difference we could make. While I was humbled and honored to serve as Mayor, I thought then that the best way for me to help the people of Gloucester was to return to my seat on the City Council. But by working closely over the past few months with Gloucester’s business and community leaders, private industry, and most importantly, the citizens of Gloucester, my team and I have made progress in a number of important areas, including economic development and tourism, the arts, and the health and well-being of our citizens. I believe that great things can be achieved as long as we keep working together. Every day, I talk with people across the city and test my approach. They tell me that open and honest communication, teamwork, and a sharp focus on what Gloucester needs will move this city forward. That’s my style. I am committed to Gloucester and all of our people. I am proud of what we have accomplished but I realize that there is much more to do, and I want to continue the work we have started. That is why I’m a candidate for Mayor. Though I respect the other mayoral candidates for their service and commitment to the city, I feel a special affinity for Mayor Sefatia Romeo Theken. 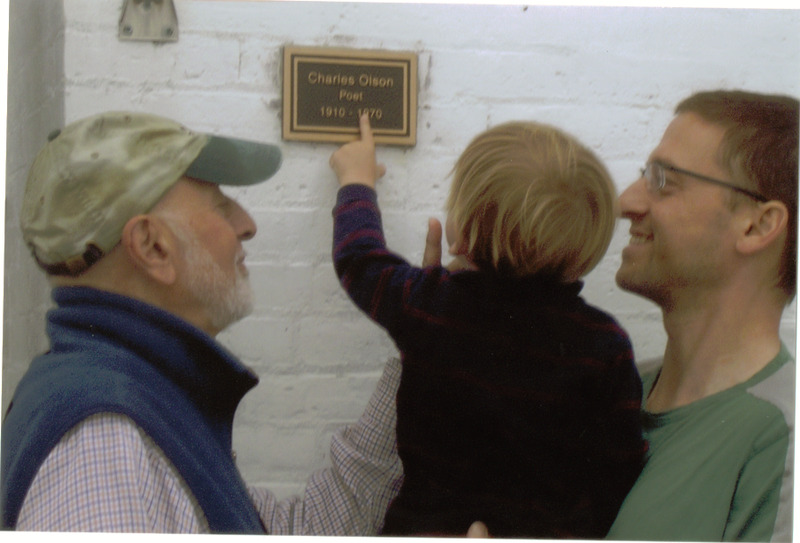 Her father, Enzo Giambanco, was president of the Board of Directors at Action, Inc., Gloucester’s antipoverty agency, when I first went to work there in 1972. I found in Enzo not only a mentor but a person of deep compassion for the low-income families we were serving, including out-of-work fishermen, children who needed a pre-school education their parents could not afford, people who did not have health insurance, and elders who were torn between paying rent and utility bills and eating. As an immigrant he understood what it felt like to be on the outside, whether you spoke a different language or your clothing was not in fashion. 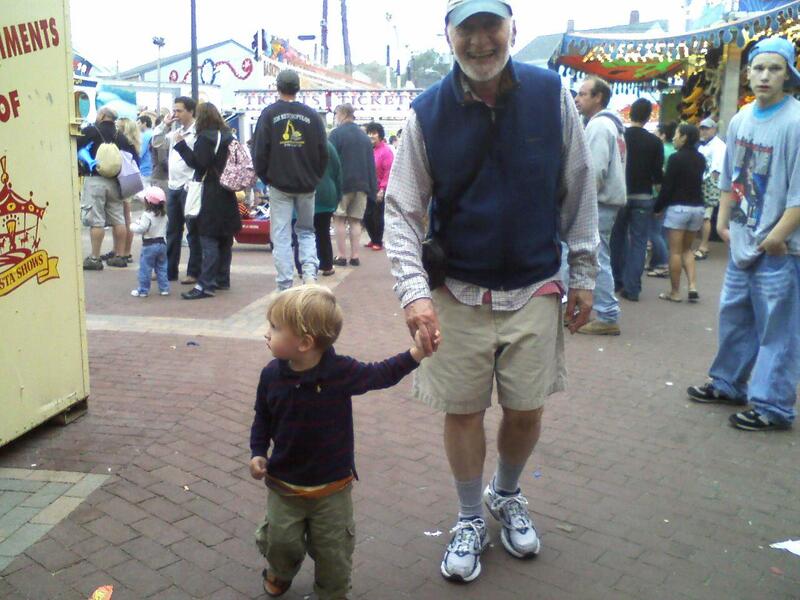 Along with Executive Director Bill Rochford, Enzo helped to steer the agency through some of its most challenging times, while never abandoning those who depended on our services, whether it was help with fuel bills, home care, or after-school care for the children of working mothers. 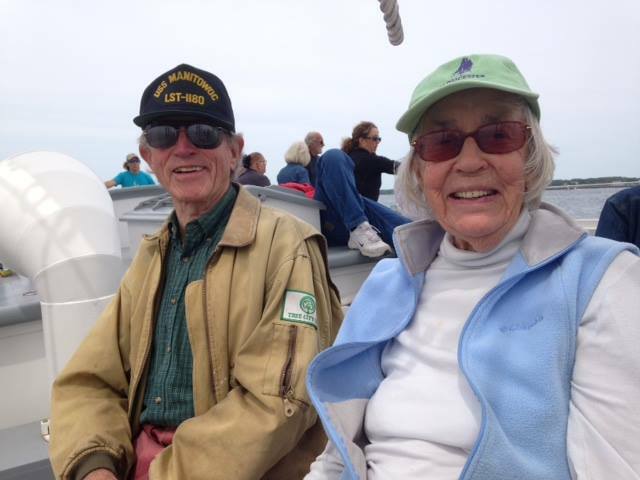 Sefatia learned these caring ways from the cradle, and she has spent her entire life helping the people of Gloucester as one of the city’s hardest working councilors and as a health care advocate and human services liaison at Addison Gilbert Hospital. During her tenure as interim mayor, Sefatia has again demonstrated her skills at reaching out to citizens across the entire social and economic spectrum of the city, listening compassionately to their concerns, hearing the ideas they have shared, and making decisions in a thoughtful and intelligent manner, while relating to all of us in an open, caring and humane way. When you are hugged by Sefatia you know she means it. 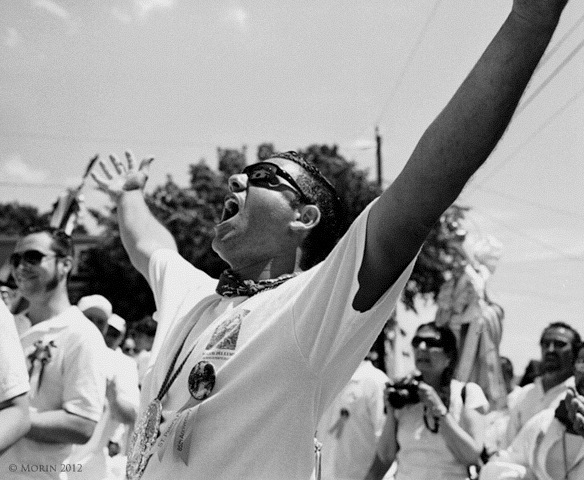 Sefatia has roots that run deeply into the community and its history. She’s gone to school and raised a family here. She can walk down the street and recognize everyone she meets. She knows who their aunts and cousins were, and they, in turn, know her. She can tell you who lived on which street and who worked where, and what happened to them if they got laid off. This kind of knowledge that comes from growing up in one place and feeling it in your blood is indispensable when it comes to understanding the needs of neighborhoods and their residents, no matter which part of the city they are located in. A public official who is not deeply in touch with the culture of the community he or she hopes to serve is already at a disadvantage. 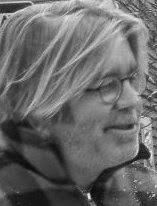 The previous administration, though it helped to move the city in some positive directions, especially regarding our fiscal status, was, in my mind, largely technocratic, corporate in its approach to governing and in its client preferences. As such, it was often out of touch with the people, especially those whom its policies adversely affected. 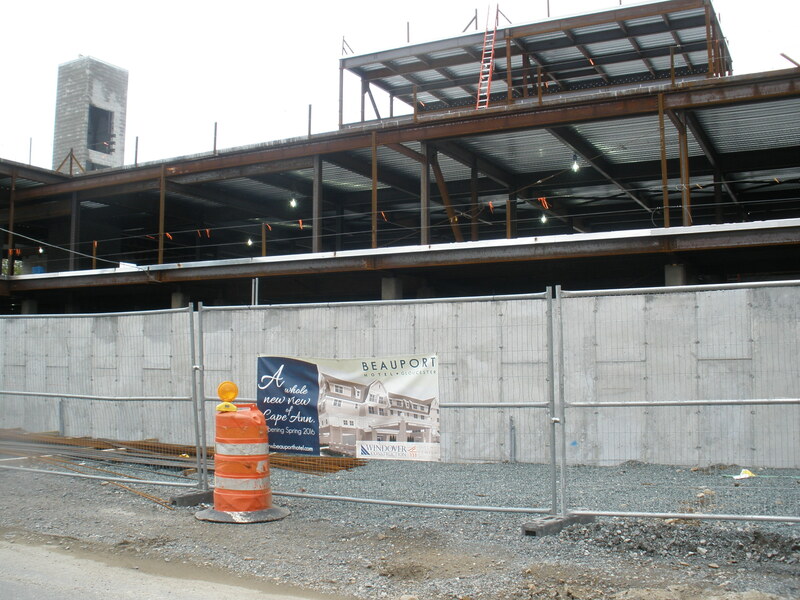 Considering the fault lines left in the wake of the Beauport Hotel controversy, Gloucester needs a mayor who does not seek to impose his or her will upon the community, but rather one who respects the will of the people and is not tone deaf to the diversity of local voices. We need a mayor who will not attempt to manufacture consensus or claim it exists when it does not—a mayor, especially, who will not dismiss a neighborhood’s fight to preserve its own culture as NIMBY, or consider citizens who exercise their right to speak in opposition to projects they feel are inappropriate as “obstructionists.” Rather, this mayor would listen to their objections and engage them in the kind of constructive dialogue that is the cornerstone of our democracy. I believe that Sefatia will be this kind of mayor—she has already demonstrated these qualities as a much respected city councilor and during her tenure as interim mayor. 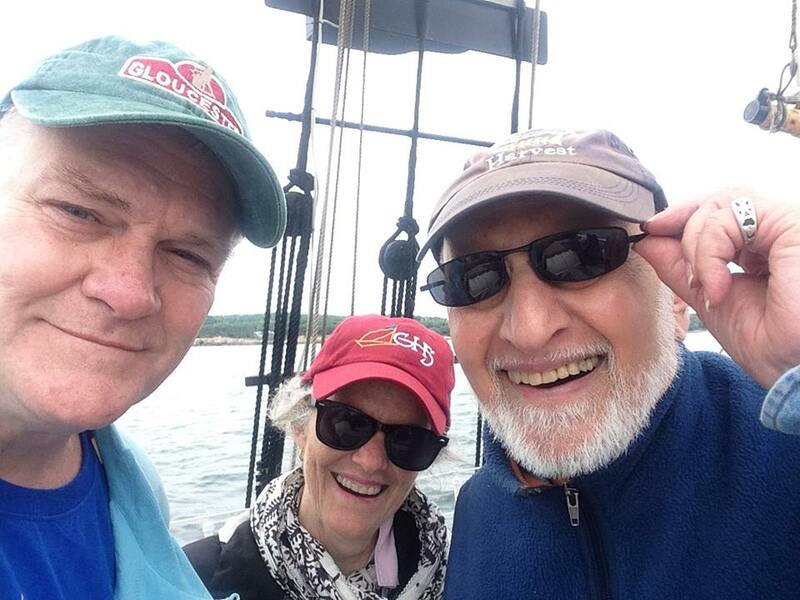 We need a mayor, who will advocate for “Gloucester for Gloucester people,” who will lead us toward a more vital sense of community in education, civic responsibilities, historical awareness, fiscal prudence, economic and social self-sufficiency, and love of place. We particularly need a mayor who understands and cares deeply about our fishing industry and the importance of our working waterfront. I believe that Sefatia will be this kind of mayor. That is why I am endorsing her candidacy and urging all those who want our city to move forward without losing sight of the heritage that has made us what we are to join me in voting for Sefatia. Back about 1970 when I was just a boy working for my dad at Ocean Crest Seafood, there used to be a retired fisherman who worked for us by the name of Nino Trupiano. A better man would be hard to find. Always with an interesting tale to tell, he once recounted a story I have not forgotten to this day. Back in the days when fishermen were allowed to ply their trade whenever and however they wished, the only thing that would prevent them from leaving the dock was weather, and by weather, I don’t mean a little rain, I mean “WEATHER”! Fishermen of the day would never let someone get the better of them, so if one man left the dock, all would follow. One particularly foul and windy day the men and boats waffled by the shore, hesitant to brave the turning waters, when Nino, never one to be indecisive, cast off the lines and intrepidly braved the waters. 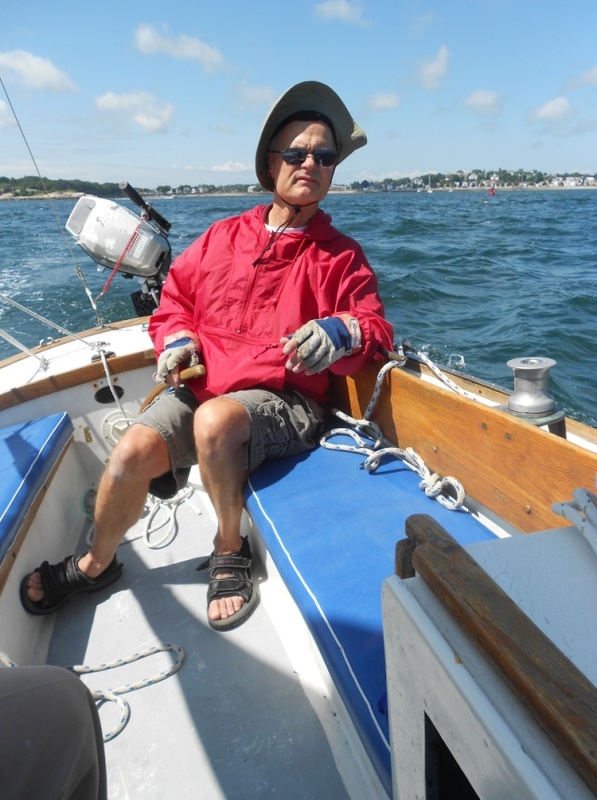 He sailed past Fort Point, past Ten Pound Island, and out beyond the breakwall. At this juncture, it became abundantly clear that this was no weather to fish in. At this point all men and vessels at the dock cast off their lines and headed for the open sea. Once arriving at the outer shore they realized that the weather was not fit for man nor beast and they called out to Nino imploring “Nino, Nino, where are you?” to which he replied “I’m at the Gloucester House; it’s too windy out there”. Leonard Parco has been working the Gloucester waterfront for over 40 years and is the president of Ocean Crest Seafoods Inc. 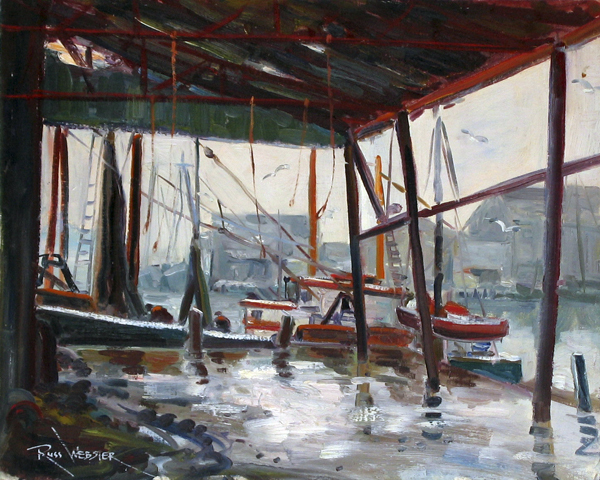 He is passionate about “Cape Ann School” art, especially that focused on Gloucester’s maritime heritage.